You’ve just read the title of the post, and you’re confused (which is understandable). This one is a little out there, so try to follow along. Andrew Long keeps putting out some hilarious videos, and he’s managed to really do something unique with his latest offering. Blake Griffin, the #1 overall pick in the 2009 NBA Draft, was at the Upper Deck store in Huntington Beach signing autographs. Andrew stopped by to get an item signed, but it wasn’t a jersey, a ball, or a photo. It was a sandwich. 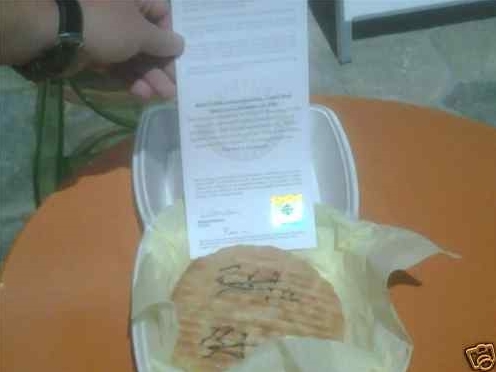 A panini, to be more specific. Why? Andrew believes that by eating the panini, he’ll be able to absorb Blake Griffin’s power. So if Griffin suddenly wakes up sapped of all his strength, we know who to blame. Though to his credit, when Andrew explained all of this to the top pick, he signed anyway (Griffin must not believe in such voodoo). 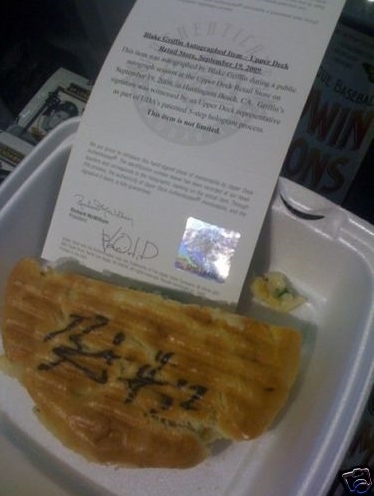 Andrew may have eaten half of the panini, but the other half is up for auction on eBay right now! So if you’ve ever dreamed of absorbing the power of a #1 overall NBA draft pick, this is your opportunity. Click here to check it out. 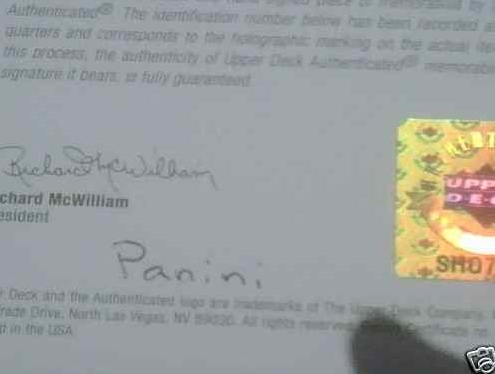 As you can see in the video, this panini was truly signed at the Upper Deck store by the man himself.